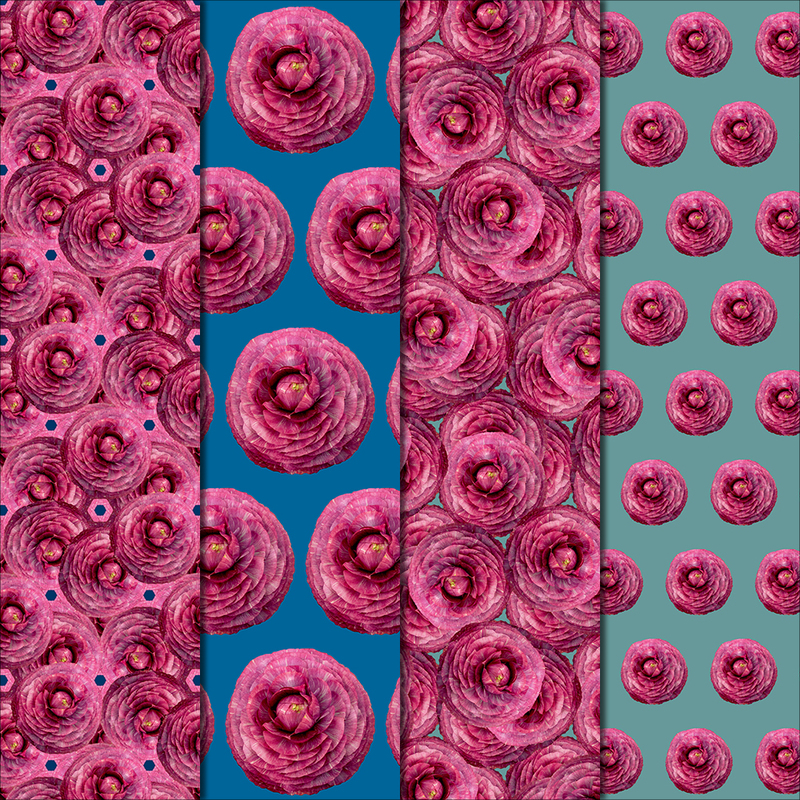 The Ranunculus Flowers featured in these patterns are fully layered with paper-thin petals. 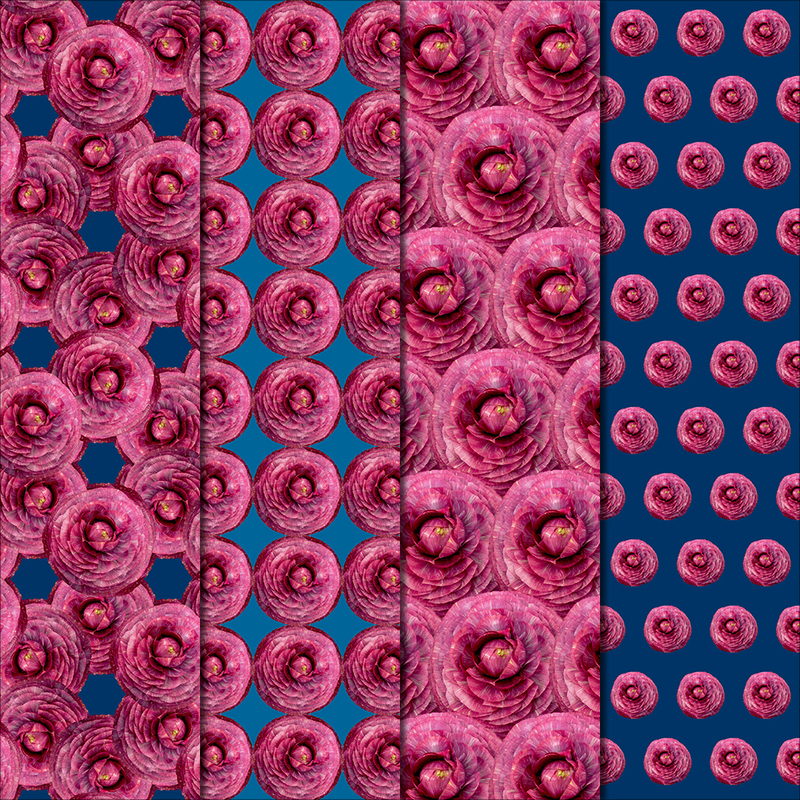 The deep pink bloom is robust yet delicate – these beauties are popping with color. 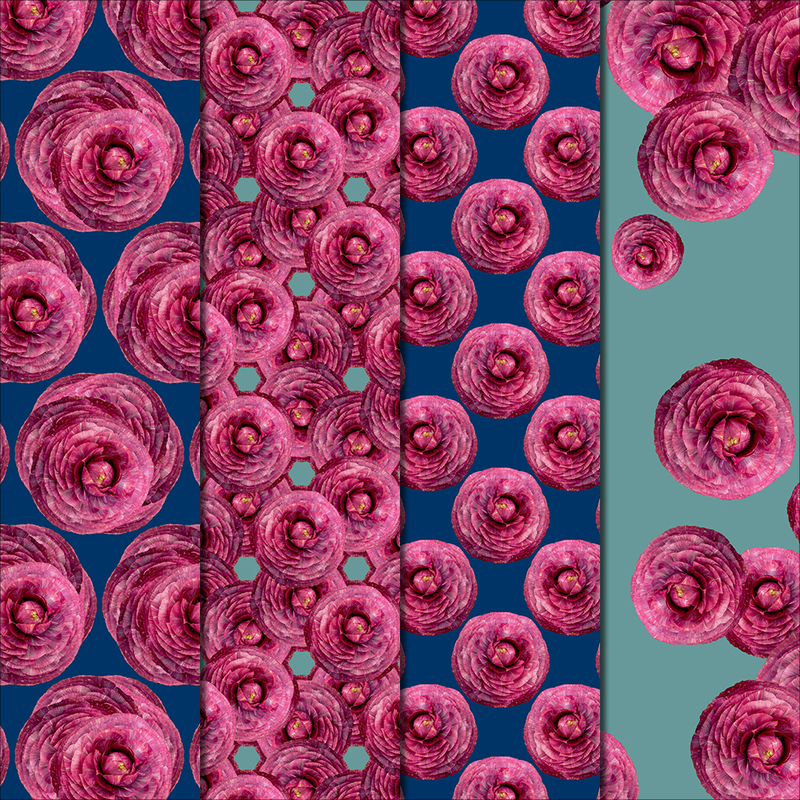 The patterns in this pack are all made with BLUE & TEAL backgrounds.